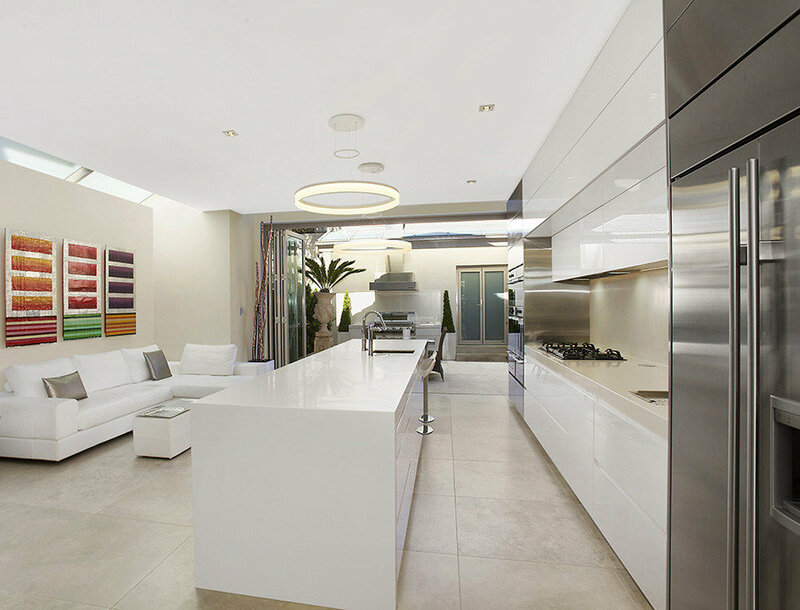 A sleek, contemporary open plan kitchen design which is family friendly and suitable. The design was intended to be clean with crisp cut edges and a substantial amount of gloss to give it a refurnished look. 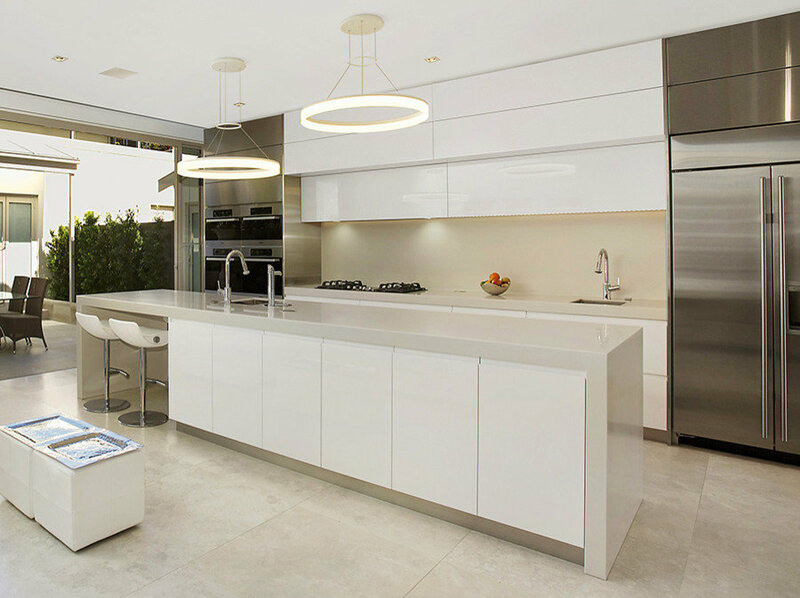 The island is quite large and made of white corian along with the bench top, providing smooth and spacious surfaces. The kitchen is equipped with fridge and oven appliances which are flush to keep it minimalistic and easily accessible. It is also finished with overhanging pendant/halo lights which act as a nice touch to the simplicity of the design.